Toss berries, sugar and liqueur. Let stand 1 hour. Top each shortcake cup with sorbet and berries. 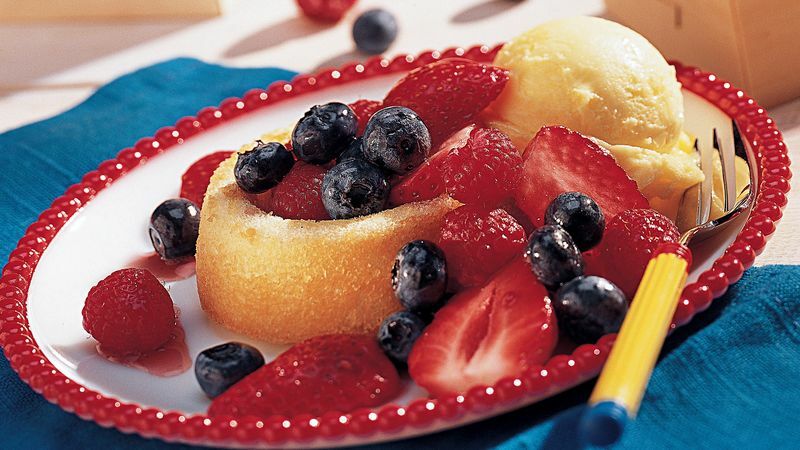 Use blackberries, chopped peaches or papaya, or sliced kiwifruit for part of the fruit. Many flavors of sorbet, sherbet or ice cream are delicious with these shortcakes. Try orange or raspberry sherbet or peach sorbet. French vanilla or strawberry ice cream are a good choice as well.